This is France; a place where there’s a lot of exploration to do, from wondering the countryside to climbing the Alps. The weather is cold and it snows a lot, so remember to bring warm clothing. The culture is lovely as well, which is something you should check out while there. A group of talented individuals brought this curated map to life, after spending over a year putting it together. It was a passion project, so they worked on it until they felt it was ready. After adding some extra touches, it is finally ready for the online community. 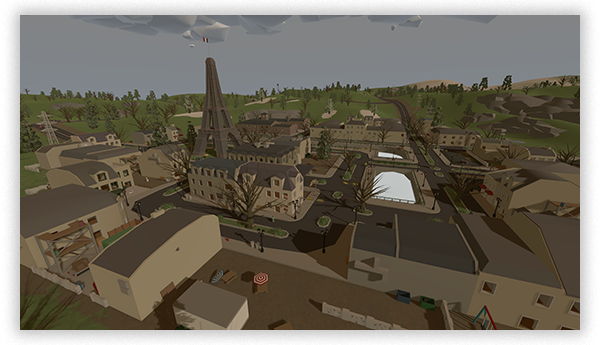 During the early days of development, France took advantage of many features that were added specifically for it – it was the first map to do this. These features include having temperate and snow climates all over the map simultaneously. Yes we are back again with more news and more details. Have you ever tried France? If you do so please share your favourite parts of the game.